As we enter 2015, investors anticipate that the Federal Reserve (Fed) will begin raising the Fed Funds rate sometime during the second half of the year. While these predictions may come true, interest rates have actually begun the year by tumbling lower. In the first two weeks of January, rates have fallen across the curve. 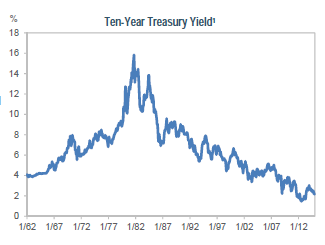 Most notably, the 30-year Treasury yield dropped to an all-time low of 2.37%, after ending 2014 and 2013 at 2.75% and 4.00%, respectively. A number of factors have contributed to this sustained low-rate environment, including weak global growth, low inflation and the strong US dollar. While interest rates hover at very low levels, many investors believe that US Treasuries offer a safe and attractive investment option when compared to global alternatives. At IR+M, we do not predict how interest rates will behave or when they will change, but we do acknowledge that investors should assess why they own bonds and how their investments will change in a rising rate environment. Below, we have outlined three key themes that we believe address how investors should consider these challenges. 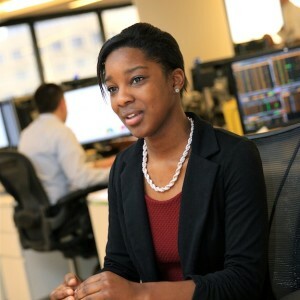 At IR+M, we offer a variety of strategies that will perform differently in rising interest-rate environments. 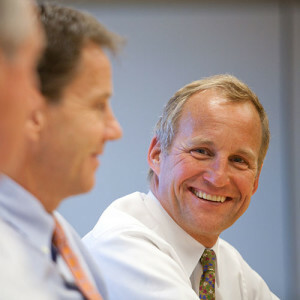 Our focus on bottom-up security selection enables us to be nimble and take advantage of opportunities across fixed income sectors as they arise. 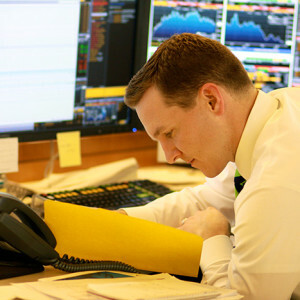 We strive to work with our clients to understand what role fixed income plays in their overall asset allocation goals and what solution works best for their needs. 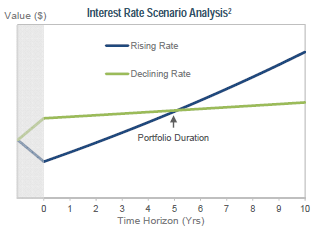 2Scenario analysis assumes a 5-year duration, 2% starting yield, and 1.5% instantaneous, parallel interest rate shift. Shaded area indicates instantaneous shift.